Image Courtesy of John Conyers Jr. Image courtesy John Conyers Jr.
John Conyers Jr., who served in the U.S. Congress for 52, years from 1965 to 2017, was born on May 16, 1929 in Detroit, Michigan. He attended public schools and graduated in 1947 from Northwestern High School. After high school, he followed in his father’s footsteps and joined the United Automobile Workers Union (UAW). Conyers worked for the Lincoln Car Factory, where he became a director of education for the UAW Local 900. Conyers enlisted in the United States Army in August 1950 and became a second lieutenant in the Corps of Engineers. He was discharged from the army in 1954 after seeing combat in the Korean War. Conyers returned to Wayne Sate University where he received his Bachelors of Arts degree in 1957 and a Juris Doctor degree in 1958 from Wayne State University’s School of Law. After passing the bar in 1959 Conyers began practicing law in his hometown; Detroit, Michigan. Conyers married Monica Esters and the couple had two children, John III, and Carl Edward. His brief stint in private practice was interrupted in 1958 when Conyers he became a legislative assistant to Fifteenth District Michigan Congressman John Dingell, Jr. Conyers worked for Dingell until 1961 and then became a referee for the Michigan Workmen’s Compensation Department. With the support of Congressman Dingell, 35-year-old John Conyers was elected to the United States Congress in 1964 representing Michigan’s Fourteenth Congressional District. 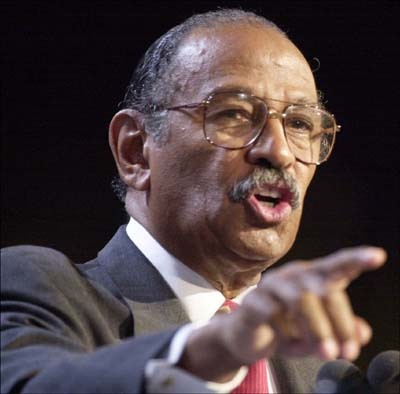 In 1971 Conyers was one of the thirteen founders of the Congressional Black Caucus. In 1974 he achieved notoriety as a member of the House of Representatives Judiciary Committee that brought charges against then President Richard Nixon. He also introduced the legislation in 1983 that created the Dr. Martin Luther King national holiday and over the course of a number of Congresses introduced legislation that would begin a review of the possibility of reparations for African Americans because of slavery and state-sponsored racial discrimination. Over the years when Democrats controlled the House of Representatives, he chaired the House Judiciary Committee. Toward the latter part of his career Conyers was plagued by scandal. On June 26, 2009 Monica Conyers pled guilty to a bribery charge and spent 27 months at Alderson Federal Prison Camp. She and Conyers divorced in 2016. In November 2017 Conyers was accused of sexually harassing female members of his staff and then using public funds to reach a settlement with them. Pressure mounted on him to resign or possibly be ousted from Congress. Conyers did resign on December 5, 2017 and announced his endorsement of his son John Conyers III to replace him in Congress. The younger Conyers stepped aside for Ian Conyers, the Congressman’s great nephew. He and two other candidates were defeated in the August 2018 Democratic primary by Rashida Tlaib who went on to win the general election on November 6 to become the first Palestinian-American in Congress. John Conyers served in Congress for 52 years, longer than any other African American Representative. Bruce A. Ragsdale and Joel D. Treese, Black Americans in Congress, 1870- 1989 (Washington, DC: Government Printing Office,1990); Maurine Christopher, Black Americans in Congress (New York: Thomas Y. Crowell Company, 1976); https://history.house.gov/People/Listing/C/CONYERS,-John,-Jr--(C000714)/#biography; “Michigan’s 13th Congressional District Election,” Ballotpedia: The Encyclopedia of American Politics, https://ballotpedia.org/Michigan's_13th_Congressional_District_election_(August_7,_2018_Democratic_primary). Bruce A. Ragsdale and Joel D. Treese, Black Americans in Congress, 1870- 1989 (Washington, DC: Government Printing Office,1990); Maurine Christopher, Black Americans in Congress (New York: Thomas Y. Crowell Company, 1976); https://history.house.gov/People/Listing/C/CONYERS,-John,-Jr–(C000714)/#biography; “Michigan’s 13th Congressional District Election,” Ballotpedia: The Encyclopedia of American Politics, https://ballotpedia.org/Michigan’s_13th_Congressional_District_election_(August_7,_2018_Democratic_primary).